One of the best ways to prepare vegetables, if you want something with a little more flavor than steaming them, is to roast them. Today, we’ve got a selection of the best sheet pans that can help you achieve this with minimum effort and maximum reward. Our overall favorite if you’re looking to roast up some vegetables is this all-aluminum half-sheet pan from the highly reputable Nordic Ware. From roasting to baking, you’ll get a versatile and non-stick pan that’s a cinch to clean up, too. An all-American classic half-sheet pan with a sleek non-stick coating and coming in a range of different configurations, air circulation is outstanding. This is a multipurpose pan at a keen price worthy of a place in any kitchen. 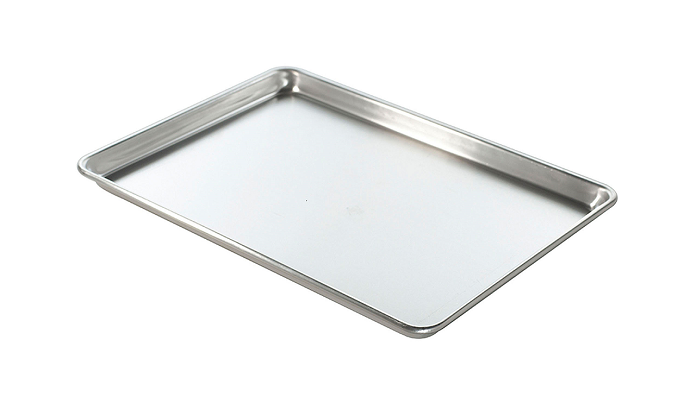 Although marketed as a cookie sheet, you’ll be able to cook far more than sweet treats. If you want to roast up some veg, this stainless steel pan is tailor-made and it’s a cakewalk to clean into the bargain. III. What Are Great Kinds of Vegetables For Roasting? Before we showcase the best roasting pans if you’re looking to add some delicious veggies to your meals, we’ll give you a rundown on what to look for when you’re buying a sheet pan. These are obviously very simple pieces of equipment but there are a few pointers to keep in mind which can simplify your buying decision and also ensure you get the most suitable pan for your needs. Materials: Aluminum is the best option if your primary objective is superior heat conduction. This is the way heat is transmitted to your food through direct contact. An aluminum pan will heat up very quickly and also cool rapidly so your food starts cooking the moment if enters the oven and then stops as soon as you remove it. Aluminum is also remarkably durable and probably the most affordable option, too. Some pans come in aluminized steel – think stainless steel sandwiched between aluminum – but overall cooking results are less even. Size: A standardized half-sheet is 18 x 13 inches but not every pan you look at it will measure up precisely. The most important thing with size is to check the pan will fit neatly into your oven. A small difference in dimensions is not going to affect the way your food is cooked but will render it a wasted purchase if it won’t fit inside your cooker. Coating: Non-stick coating polarizes opinion. Clearly, the principle is sound and should lead to a stress-free clean-up. The problem is, many cheaper coatings tend to come away and are not particularly effective in the first place. The other drawback is that non-stick trays tend to be darker in color. This means that more heat is absorbed and radiated so you’ll get darker baked goods, something you might not always want. There’s no right or wrong answer with coating so stick with an uncoated pan if you’re a purist or choose very carefully indeed if you want the convenience of a non-stick sheet. You should also check closely if you’re considering a non-stick pan that there’s no PFOA, PTFE, or BPA. Edges: Rolled edges are undoubtedly the superior option. These reinforce around the rim and dramatically reduce the chance of your pan warping when heated. It’s the sudden changes in temperature combined with poor edging that causes many cheaper pans to warp. Some we tested were prone to this so we made sure to alert you to this. Thickness: The lower the indicated gauge, the thicker the pan. Generally thicker sheets give better end results and they’ll also last longer for the double-win. Look for overall build quality along with thickness and pay attention to that gauge remembering that the lower the better! Consider a Rack: By making a modest investment in a wire rack that slots inside your pan, you’ll be able to layer ingredients nicely and this also helps when you want to cool your dishes down. By using parchment paper or aluminum foil, you can also make clean-up much easier. Cleaning: Thinking of cleaning, check to see whether the pan you’re considering is considered dishwasher-friendly. Our own advice is to wash them by hand and you can mitigate any messy clean-up by using plenty of parchment paper. For an aluminum sheet pan from a kitchenware legend, this Nordic Ware half-sheet is constructed from pure aluminum that’s built to stay the distance. 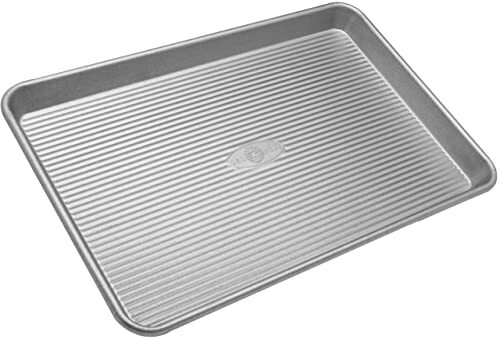 Galvanized steel ridges complete a robust sheet pan that will never rust out or wear through. Measuring up at 16 ½ x 11 1/3 x 1 inch inside, you’ll have more than enough space for whatever you want to roast, bake or toast from vegetables through to cookies. If you fancy a change from roasting veggies and want to turn your hand to baking a cake, the aluminum conducts heat brilliantly to optimize rising while the steel rim puts paid to warping that can leave your pan and cake ruined. As the name makes abundantly clear, this all-American product is another versatile performer whether you want to roast up a batch of vegetables or get busy with some baking. A corrugated surface helps optimize airflow leading to perfect cakes and cookies every time. You can choose from a range of half-sheet options including the pan we tested, a baking rack, lidded pin or set with a baking mat. If you want even better value, opt for the 2-pack. The heavy-duty aluminized steel comes backed by a lifetime guarantee and the non-stick coating is free of all known contaminants so you can cook with a clear conscience. 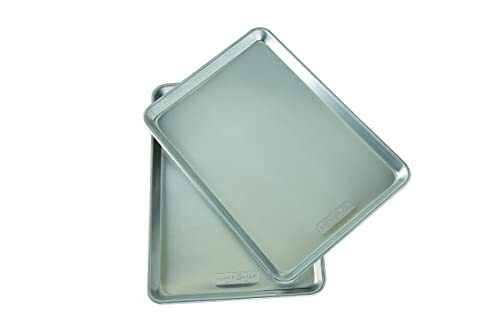 If you’re hunting for a refreshing alternative to aluminum cookware, this stainless cookie sheet makes a perfect aid for baking and roasting. The non-stick surface is free of all potential toxic material and you can clean by hand or in the dishwasher. Although stamped 18/0, in our opinion these sheets are probably a little thinner but still make a great and highly versatile sheet pan at a pretty reasonable price-point. If you plan to bake at high temperatures, expect a little temporary warping and, for this reason, you’re probably better off avoiding juicier food as you might experience a little seepage and spillage. 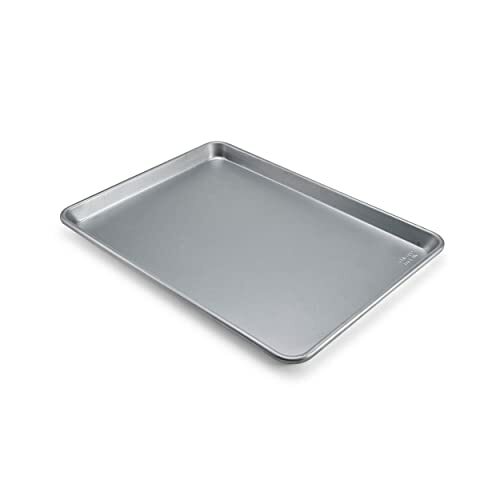 If you’re looking for a taste of the professional bakery in your home kitchen, this rugged 13-gauge aluminum sheet pan is just the ticket. You can choose from a single pan, a 3-pack or 12-pack depending on your needs, and the stackable design is a winner if you’re struggling for storage space. You’ll get crisp and even baking with the pale color specifically chosen to stop your baked goods overbrowning. Heat conduction is first-rate and durability is also pretty much unbeatable. The only real downside is that you’ll need to clean this sheet pan by hand but that’s hardly a deal-breaker and the mess from your cooking will slide off without too much elbow grease. If you’re looking for a large single-sheet pan equally good for baking cookies and cakes, jelly rolls, roasting heaps of veggies or even racking up a whole meal, this Chicago classic is a home run. We went for the 16 ¾ x 12 x 1 inch pan. There is a pair of smaller alternatives at 12 ¼ x 8 ¼ x 1 inch or 15 ¾ x 13 ¾ x 1 inch if you need something slightly smaller. Uncoated, you won’t need to worry about the potential dangers of some non-stick pans although you’d be well advised to use parchment paper to avoid a mess of food that needs scrubbing off. Technically dishwasher-friendly, you’re well advised to hand wash this sheet pan instead. Another commercial-grade half-sheet pan at a bargain price point, choose from a 2-pack or 3-pack if you want even better value than ever. The triple-tiered construction brings together performance and durability and makes sure anything you bake comes out perfectly done – as long as you follow the recipe closely, of course! A couple of disgruntled users have moaned about this sheet pan discoloring over time. This minor niggle aside, opinion is overwhelmingly positive and this half-sheet pan certainly gets our seal of approval. Last but by no means least, if you appreciate the finer things in life and you have deep pockets, this Calphalon roasting rack is a true asset to any kitchen. With 2 layers of stainless steel on either side of an aluminum core, you’ll get extreme durability along with rack perfect for air circulation and slipping in the oven or up on top of the stove. 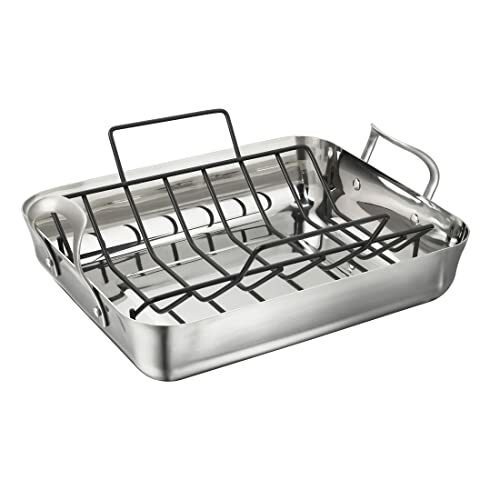 Non-stick and suitable for use with any kind of utensils, this is a truly versatile and practically maintenance-free roasting rack. Whether you want to roast a large batch of vegetables or a full turkey, you won’t regret investing in this rack which comes guaranteed for life. The best news of all is that almost any type of vegetable responds well to roasting. As you’ll see next and as just about any guide will back up, the process is a simple 5-step procedure with very little room to mess things up. The key to effectively roasting veggies is to group them according to cooking times. Brassica Flowers and Brassica Buds: Don’t be confused by this name. What we’re talking about here is Brussels spouts and broccoli along with cauliflower. All these veg will come up delightfully brown and crisp within as little as 20 minutes. As with all cooking, don’t be afraid to tweak timings if you prefer them a little more browned. Leave them in for 5 more minutes and you’ll be ready to roll! Mushrooms: From porcini and Portobello mushrooms through to chanterelles and shitakes, softer mushrooms also only require 20-25 minutes for optimum roasting. Alliums: Garlic and onions along with shallot and leeks all take a little longer in the oven. Go for the same high temperature but leave them in for fully 45 minutes for best results. With onions, take the skin off if you like once they’re roasted and add further seasoning. If you like the browned effect, leave that skin on and enjoy! Roots and Tubers: From potatoes and parsnips through to carrots, beets and yams, hard tubers and root vegetables also call for a little longer in the oven. The result will be super-succulent veggies even your kids will be crying out for more of. And that can only be a good thing! Squashes: Pumpkin and butternut are perhaps the better-known types of squash. If you want to get a little more exotic, go for some kabocha, acorn or delicata. Again, with squashes, you’ll need to give them a little longer but we can promise you it will be worth the wait! Don’t be remotely afraid to get creative. We haven’t yet encountered a vegetable that doesn’t respond well to a quick half-hour in the sheet pan at high temperature so if your favorites are not on our list, don’t worry and give them a try anyway! Here’s that remarkably straightforward 5-step procedure we mentioned. Follow this advice and you’ll end up with supremely tasting side to your meat and potatoes or you can go for the healthy option and eat them alone with some tasty ciabatta bread. Pick Your Vegetables: Since all your vegetable are likely to roast at slightly different speeds, you need to organize them according to groups. Mushrooms, broccoli and cabbage should be set on one side since they’ll take perhaps 25 minutes to roast properly. Next, onions, potatoes, carrots and parsnips will require more like 45 minutes so group these apart. 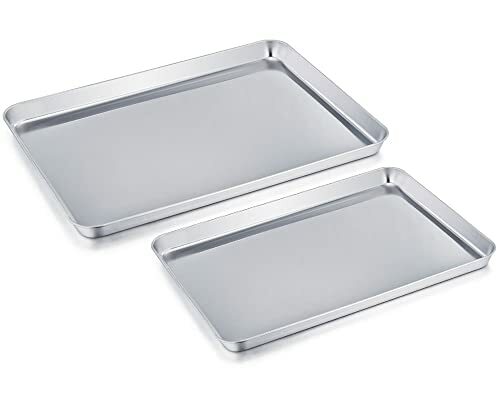 Use two trays so you won’t need to mess around when you’re cooking with the slower and quicker cooking food segregated by tray. Arrange and Season Your Vegetables: While it might be tempting to cram as much as you physically can into your pan, this is a bad move. You can certainly fill the sheet up but avoid stacking the veg as this will lead to uneven cooking. Use parchment paper to avoid a shocking mess all over your sheet pan. Make sure all your veggies are in full contact with the pan. You can season heavy-handedly with olive oil. Not only is this a healthy option but you’ll also find it helps the heat transfer through to the bottom of the pan. Sprinkle a little salt over the veggies to taste. Pop Your Vegetables in The Oven: Cook the first tray of root vegetables for for 20 minutes at 425 degrees Fahrenheit on the lower shelf of your oven. At the midway point, it’s a smart move to flip the vegetables. Add the second tray of mushrooms and brassicas since, as we outlined, they take only half the time to cook. Finish and Serve: Peel the skin off onions and add a little salt, olive oil and lemon juice along with any herbs of your choice before serving up the perfect accompaniment to any cut of meat. We very much hope you’re now fully equipped to introduce some roasted vegetables into your diet. If your kids are reluctant to eat their veggies, the taste sensation of roasting is a better way forward than watching them hold their noses as they eat sprouts like they’re poison! 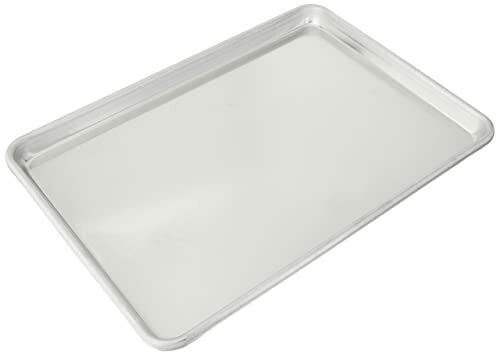 As long as you take a little time to avoid buying cheap and poor quality sheet pans that will warp and end up in the bin after a week or two, the best trays will give you plenty of faithful service, all the more so if you always remember to use parchment paper or aluminum foil. Whether or not the tray you choose suggests it’s safe to pop in the dishwasher, you’re much better advised to clean them by hand if you want them to stay the distance. Come back soon as we move from the kitchen to the bedroom… We’re in the process of testing a bunch of mattresses and pillows to give you the best night’s sleep after a meal packed with roasted veggies!